The MathsJam conference has a baking competition. 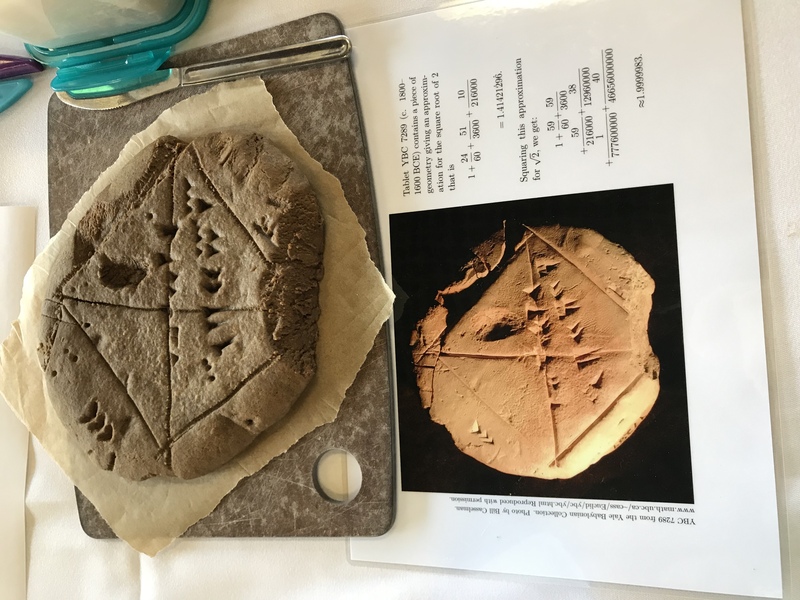 My friend the archaeologist Stephen O’Brien tweeted a while ago a link to a fun blog post ‘Edible Archaeology: Gingerbread Cuneiform Tablets‘. 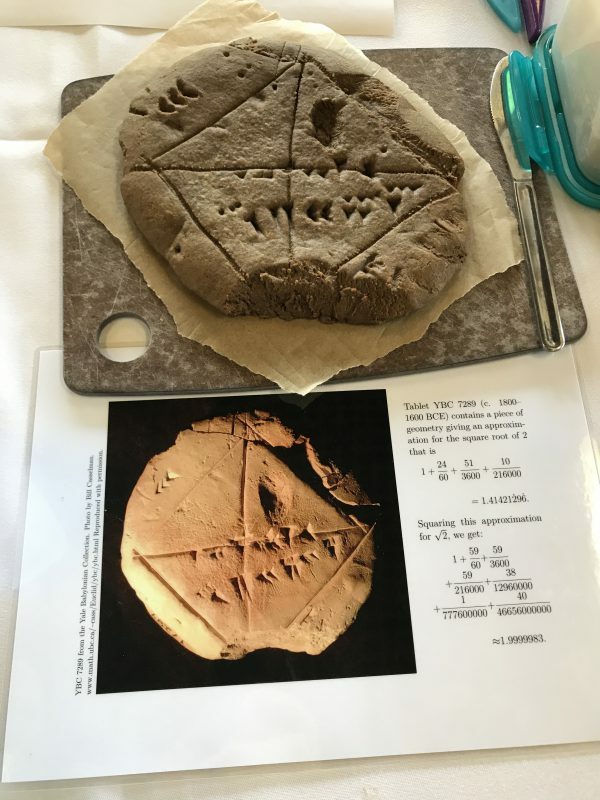 Babylonian tablets are among the earliest written evidence of mathematics that we have, and were produced by pressing a stylus into wet clay. 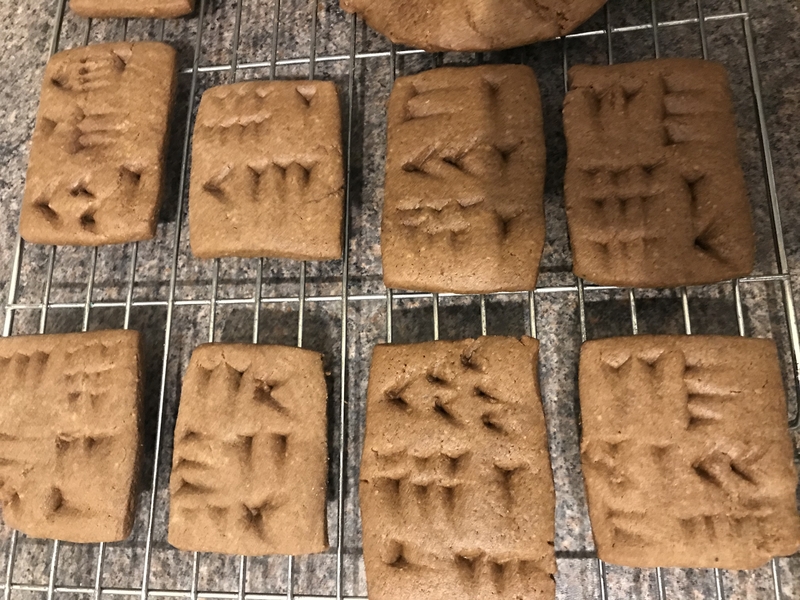 So it was that I realised I could enter some Babylonian-style tablets made from gingerbread. In addition, I used the rest of the dough to make some cuneiform biscuits. I tried to copy characters from Plimpton 322, a Babylonian tablet thought to contain a list of Pythagorean triples. Again, Bill Casselman has some interesting information on Plimpton 322. Below, I try to give a description of my method.